Disclaimer: This is a sponsored post. All opinions presented are 100% mine. It is Christmas, and that means it is time to schedule those holiday photos! The only problem is your kids are in need of a haircut! If your children are anything like the ones I am raising, the whole haircutting experience can be a traumatizing one. To make this experience easier, you have to find a hair salon that gets kids. A place that specializes in addressing the needs of the child. As a teacher, I get that! Each child in my classroom is unique and requires different things to be successful. I have to tailor my instruction to meet their needs. As a stylist, this same idea applies. Each child that walks through the doors of a salon has his or her unique set of likes and dislikes. It is up to the stylist to quickly figure that out and customize accordingly. Today you can find a wide variety of hair salons tailored to kids. How do you know which one is right for your child? Now this can be a hit or miss situation for a parent! Recently we encountered a MAJOR HIT that we want to tell you about. 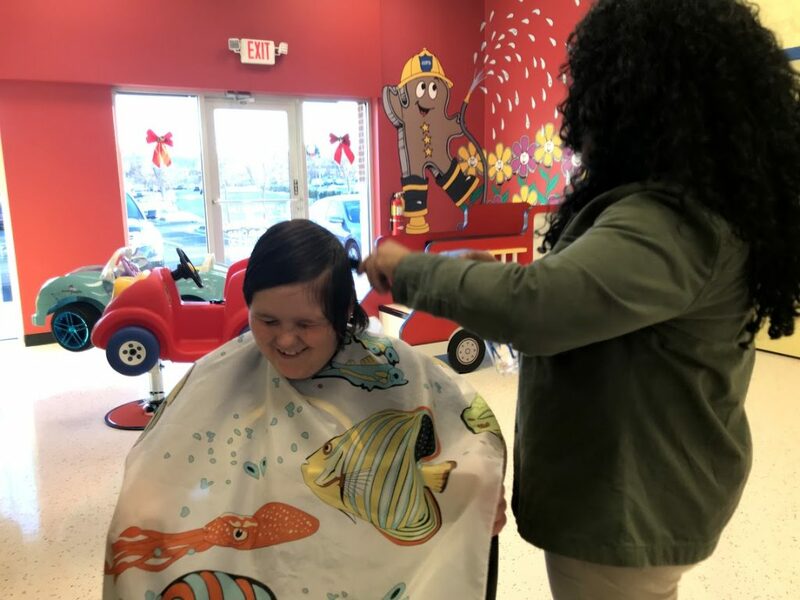 Cookie Cutters Haircuts for Kids in Alpharetta is unique in that it offers not just haircuts for kids, but also for moms and dads. When you walk through the doors you are immediately whisked back to your childhood days with bright colors. Colors that are easily recognized by children. Why do I think that matters? Because it signals comfort. It is familiar in color, and not a fancy schmancy place where touching things is off limits. 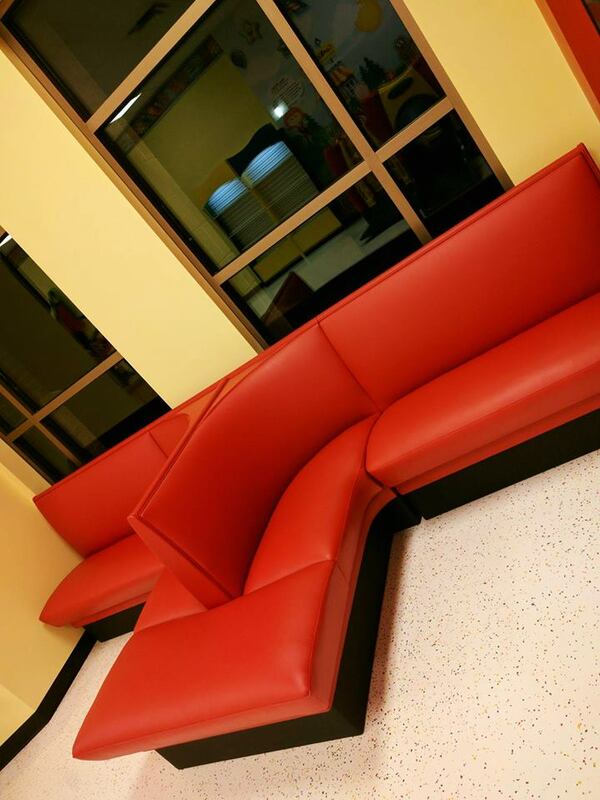 The waiting room provides red comfortable sofas and a play area for children. Before the child is even called, something happens that helps to make the haircutting experience a positive one. The stylist comes to greet both child and parent in the waiting area. The goal is to connect with the child to help ease any fears that may begin to creep in. Just taking that time to engage helps to set the scene. Once they are called, they get to select a cool car to sit in. They even make authentic car sounds. As you can see from the images above, these are familiar characters that welcome your child to the stylist’s chair. Each station is equipped with a small television screen. Children get to select a show that will help put them at ease before anything actually begins. 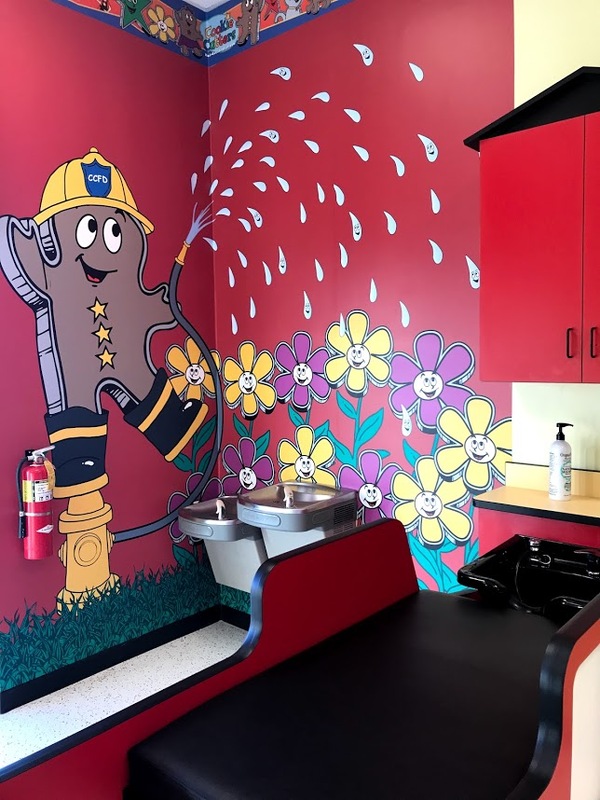 If they need their hair washed, they get to go on a “fire truck” for a shampoo. Once the stylist sees that the child is relaxed, this is when you see their magic unfold. 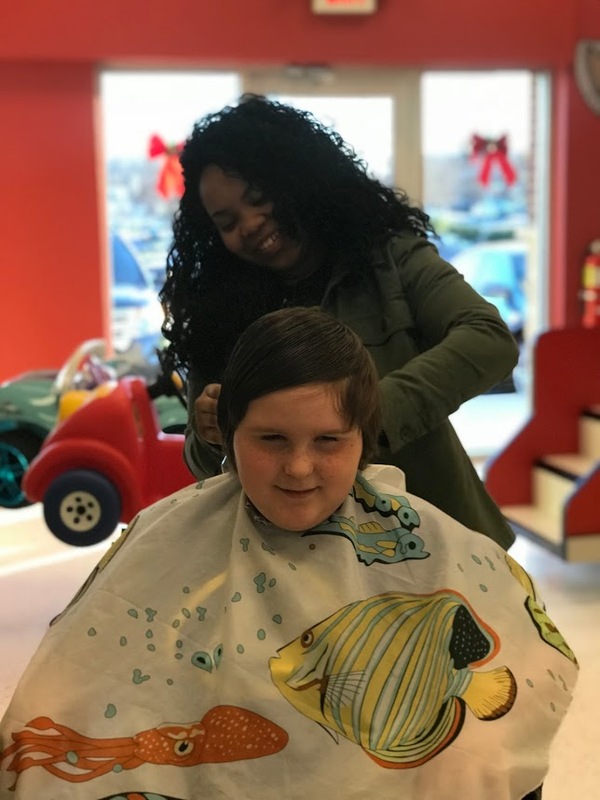 Cookie Cutter Haircuts for Kids stylists are trained to work with ALL children regardless of their social or emotional development. They are attentive and work quickly. This means that they move around the child while engaging them so that the haircut can happen. I was amazed at just how FAST this went with us and those before us. Even though you might not see a big smile on his face, Joseph LOVED his haircut! It had been MONTHS since he last had a haircut, and it was done by momma. You know, one of those special “bowl” cuts! 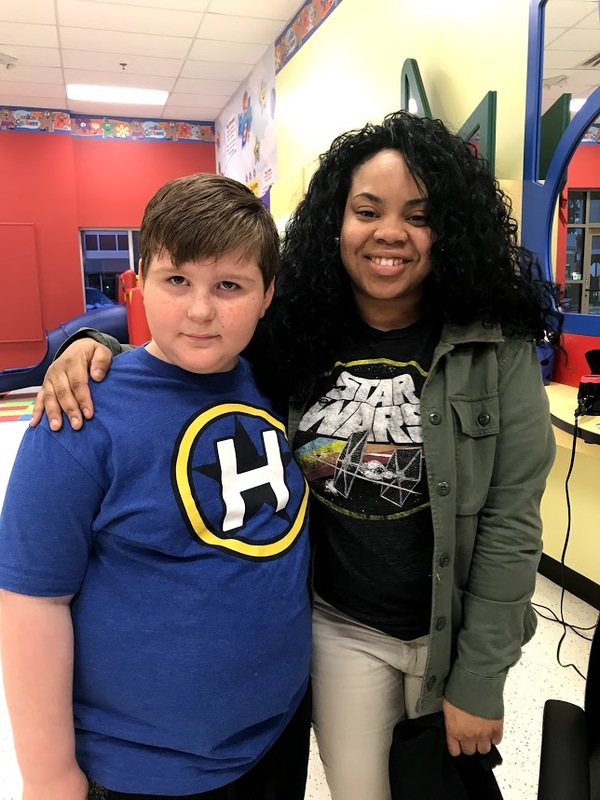 Although he was a little apprehensive at first, his fears were quickly erased as Diamond worked her magic! An advantage of this salon is that you do not have to have a different location for each member of your family to get a great haircut. 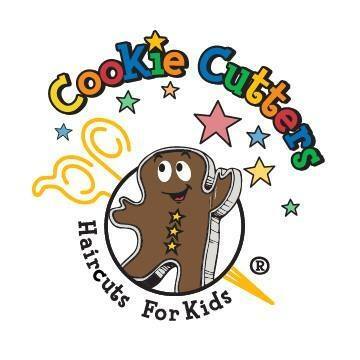 Cookie Cutters Haircuts for Kids tailors to all ages. From teens to parents, they provide a quality service. Of course, I had to check this out for myself at our recent visit. After Joseph got his haircut, I went back. Diamond was just as attentive to my needs as Joseph’s. She took the time to give me exactly what I wanted. I left completely satisfied and feeling pretty! 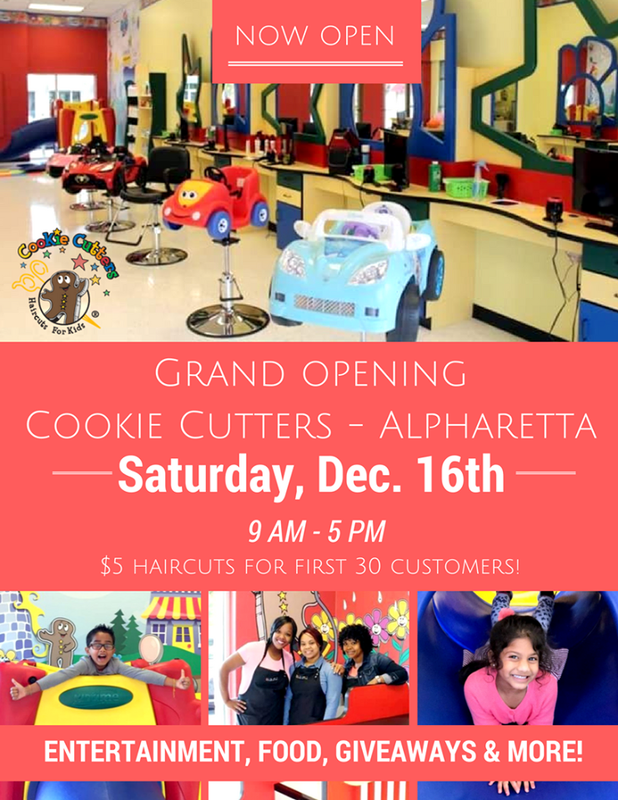 Celebrate their Grand Opening December 16 in Alpharetta with $5 HAIRCUTS! Book anytime on December 16th from 9am to 5pm and your little one’s haircut is just FIVE BUCKS! Regular price $18.95! So mom and dad, no more avoiding the salon. You know your home haircuts just aren’t “cutting it” anymore. Head to the place that provides a simple service rendered in an exceptionally, friendly manner. 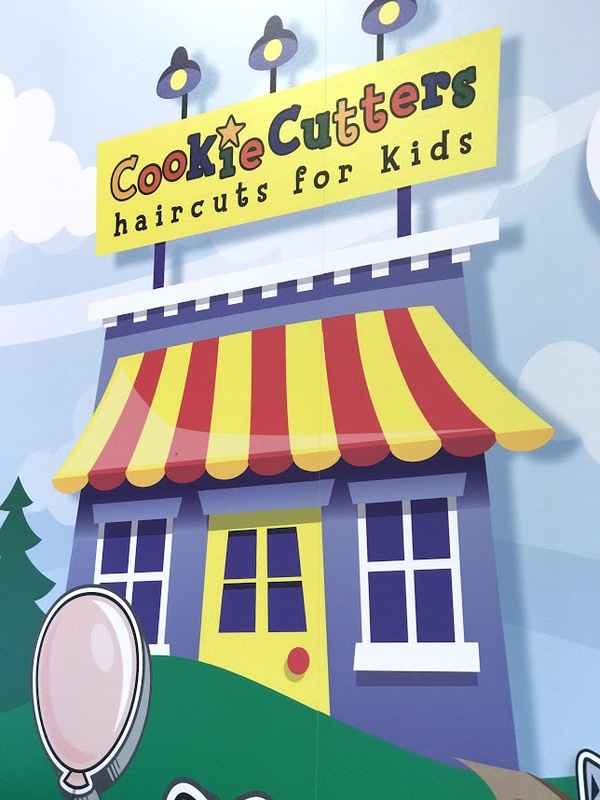 At Cookie Cutters Haircuts for Kids, haircuts are stress free for parents and fun for kids! Let Your New Year Shine with LightBoxArts! Looks like a fun place to get a haircut. 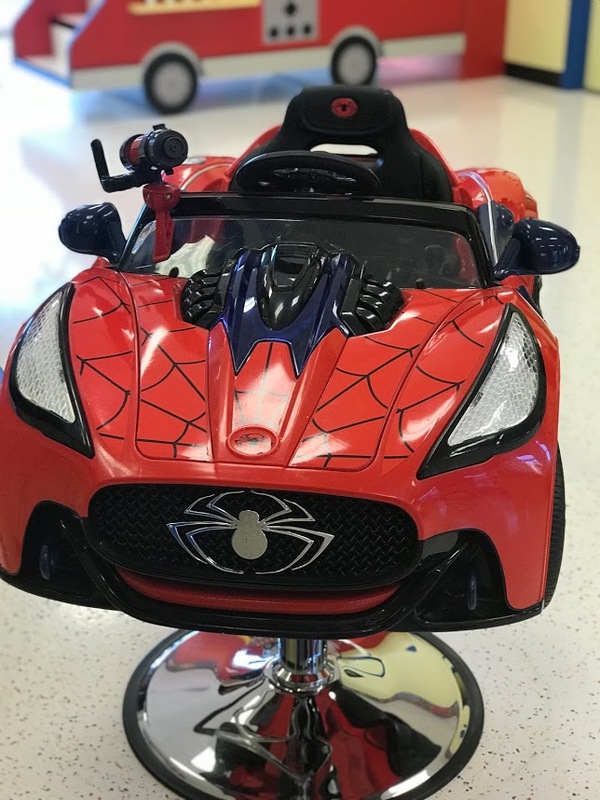 I just love the cars that the kids get to sit in. Wow! 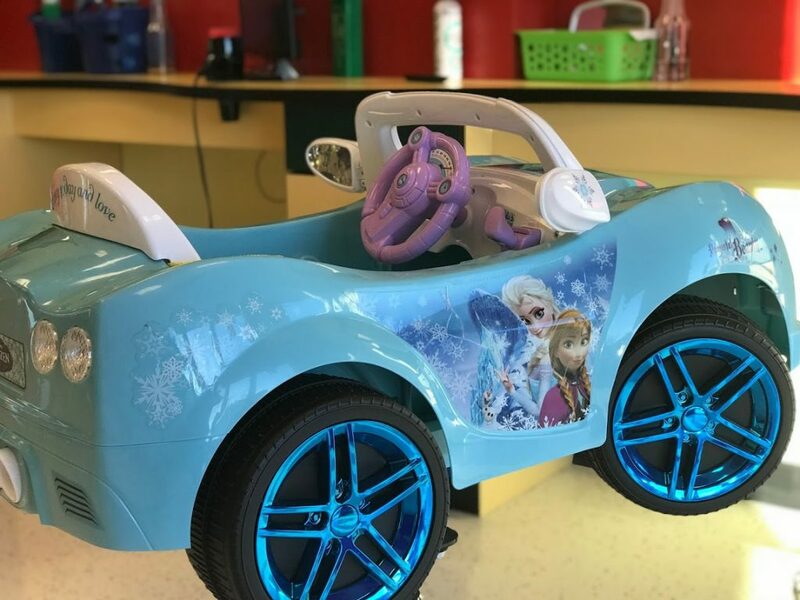 This is really fun way to make kids hair cut happen! 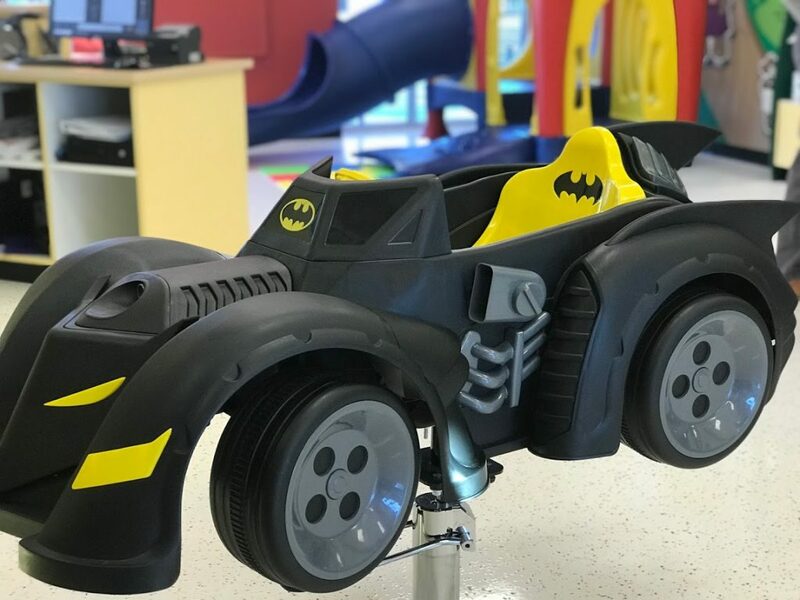 I love all the car seats it's really cool! 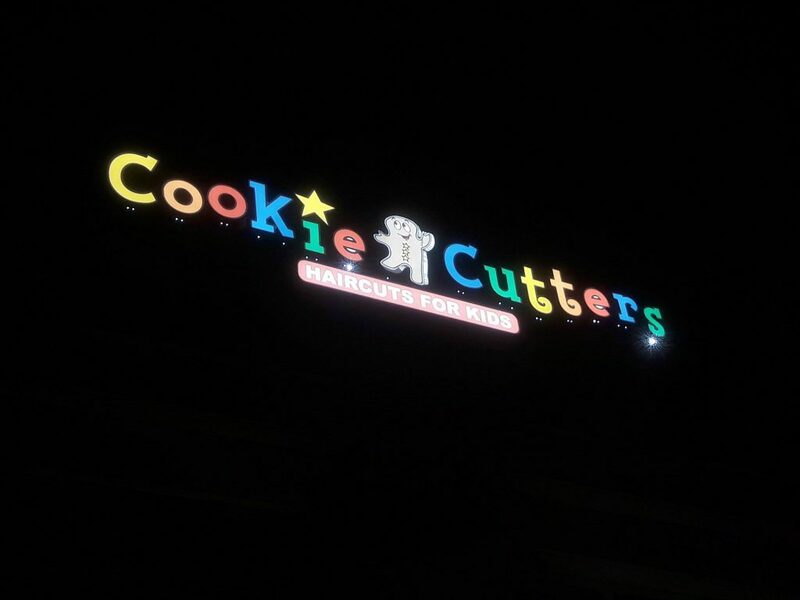 I wonder if Cookie Cutter is nationanwide? Awww, what an adorable place for haircuts! It would definitely make a child feel more comfortable! What a wonderful place to bring your kids for a haircut! 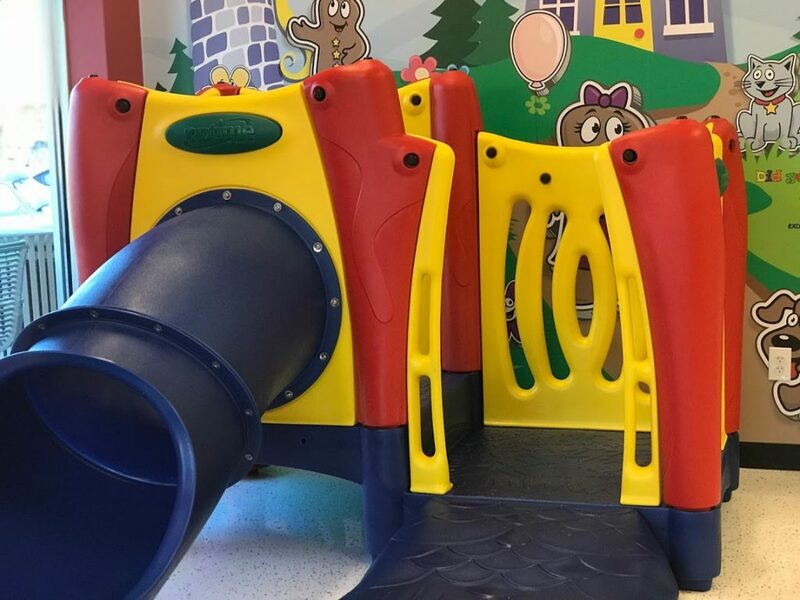 We have a similar place in Orlando and my kids love it! Cutest place ever!! Obviously I can't remember my first haircut but we do have the hair saved. 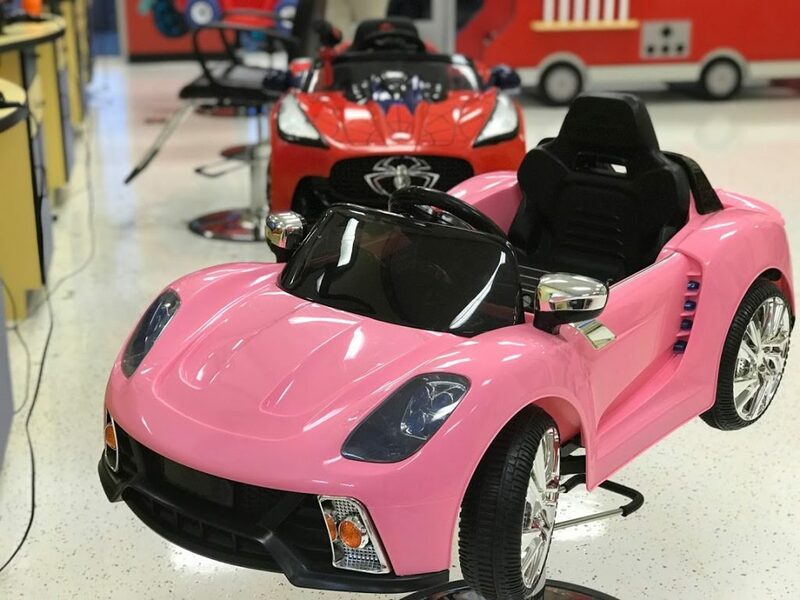 We have a salon like this inside the mall and it always looked so fun with the cars but they didn't have then when I was growing up. It sounds like they are really tailored to meeting every need of every kid, especially with the TVs how cool is that!! Oh, that is such a cool experience for kids. I can definitely see my nephew wanting to get his hair cut there. What a great place! I love this concept :) I would even go there to have my hair cut haha. This is a great concept. I don't know why, but when I was a kid I would scream, cry and throw myself down if I was supposed to get a hair cut - that wouldn't be so bad, but I also didn't like anyone to brush my hair - no matter how gentle, etc. So when I would finally get it cut, it would be so short it would take a long time before I needed another. I'm wondering if a wonderful place like this would have made it all different and fun!